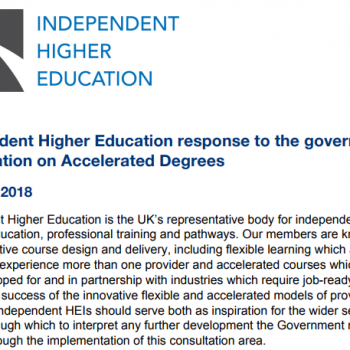 Independent Higher Education (IHE) has submitted evidence to the Migration Advisory Committee’s (MAC) commission on international students. 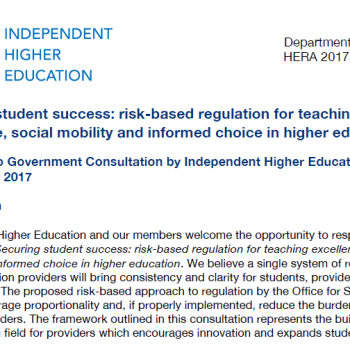 The MAC published its call for evidence on the economic and social impacts of international students in October 2017 and is due to publish its findings in September 2018. IHE’s evidence outlines the available data sets on international students in independent higher education providers and includes an analysis of the impact of international student fees; international student and visitor spending; the fiscal impact of international students; employment supported by international students; and their impact on the labour market. It concludes with a list of key recommendations.